If you are like most people you took a Myers Briggs quiz at some point, received a couple of pages on your personality type that you thought were more or less accurate and promptly forgot about the whole thing. You already know who you are, so what is the point of having someone else tell you who you are? If you are a P you said it was too simplistic. If someone tried to get you memorize the sixteen personality types you said it was too complicated. So which is it? 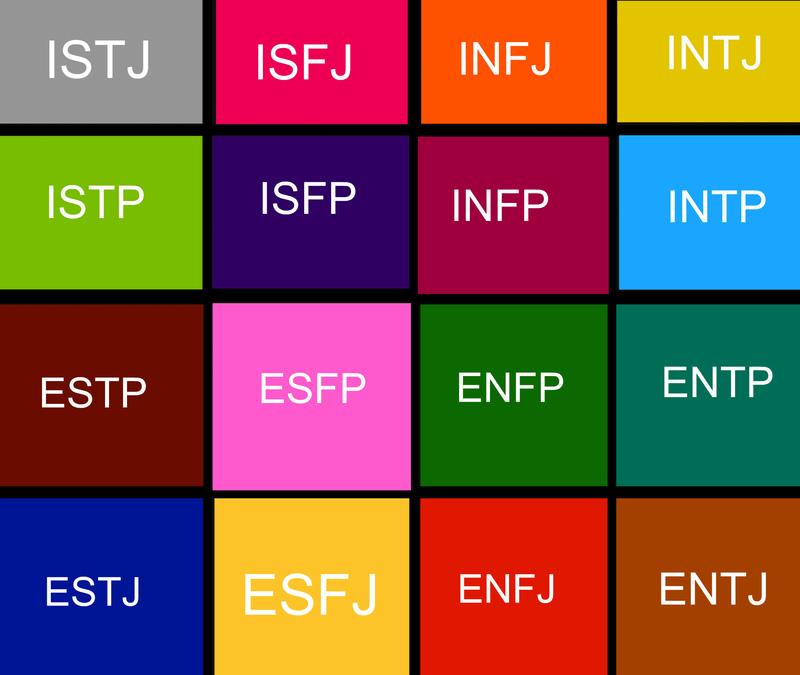 Myers Briggs is very simple to use if how you use it isn’t about you. The particulars for the sixteen personalities are even more useful (Keirsey sorter), but don’t have to get into that. The most practical use of Myers Briggs is to figure out how to respond to a person who is not like you. You do need to know what you are for this-if you aren’t sure here are some questions to figuring it out. One thing to note is that what is most “you” feels natural to you, so you may not realize it is a personality trait. For example, people who prioritize feeling may think that is a natural part of being human and, since it is something they value, they may even think they aren’t very good at it. It may a bit of figuring to get your type correct. E or I – Extroverted or Introverted. This isn’t about whether you like people, it is about where you get your energy. After a party an I goes home and locks the door; an E goes to the next bar. American culture has a bias to E, probably the biggest bias of the four Myers Briggs types. I’s are often told there is something wrong with them, even that they are mentally ill. Consequently, a lot of I’s pretend to be E’s to the point that they don’t even realize they are I’s. People who get resentful and prickly about being asked to communicate are generally an I pretending to be an E.
N or S – iNtuitive or Sensing. A person who prefers to describe a broad idea is an N. A person who starts with specific details is an S. S’s remember conversations word for word; N’s just remember the point of the conversation. T or F – Thinking or Feeling. T’s prioritize thinking in decision making and F’s prioritize feeling. Does the person ask if being late is making you feel rushed, or do they ask you why you were late? J or P – Judging or Perceiving. J’s see good decision making as closed. P’s see good decision making as open to change. Do they give you few choices for a meeting time and ask you to pick a specific time? They are a J. Do they call you 10 minutes before a possible meeting with three different places you could meet? This is a P. If you are a P you will want to keep your options open and you might say you aren’t sure if you are a J or a P.
Once you have awareness of how people aren’t like you, you can take note of your success and failures and build communication skills. For example, with only a few questions you should be able to figure out the type for someone interviewing you for a job. What if you are an N and you realize you are talking to an S? You will want to give very specific concrete examples that focus on either Thinking or Feeling facts. Slow down, picture yourself in the example and provide details that support your point. What if you are an S and you are talking to an N? Start with the idea because an N won’t listen to an example if they don’t have the idea first. Then make the example as brief as possible or, if you can make your point without it, skip it entirely because detailed stories annoy N’s. For people willing to learn to ask four simple questions, Myers Briggs provides a shared language to talk about the formation of the self and communication. Myers Briggs is about how a population interactions; no one is a Myers Briggs island. As an ENTJ blogger, my purpose is to have a shared language with you as this blog progresses. You will probably find that the blog emphasizes ideas over stories and facts over feelings. On the other hand, the purposes of the blog is to expand my communication skills so maybe it won’t. Post by loafingcactus originally published on loafingcactus.com. This wasn’t the website I was trying to find but now I’m glad I came across it. I realize it is quite popular on the internet. Good job. Very good information in comparison to many of the other subject material I’ve discovered. Carry on the good work. You can scarcely find posts such as this nowadays. I remember when you could find one or two topics similar to this in less than 10 minutes however now it’s significantly more difficult. This is just some of the best material I’ve stumbled on today. It’s not what I was looking for but it sure got my interest. Now i’m glad I took the time to check it out. What’s up, its nice piece of writing about media print, we all understand media is a great source of facts.